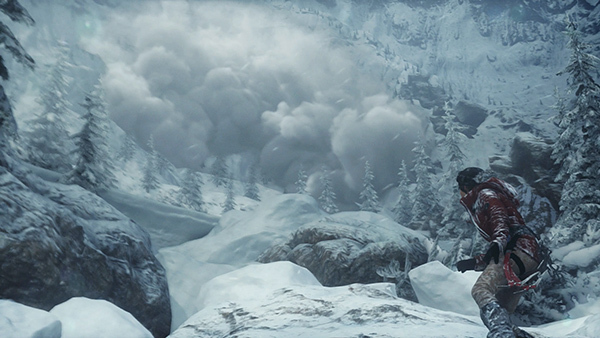 At this point, the two spot an avalanche barreling down the mountain toward them. 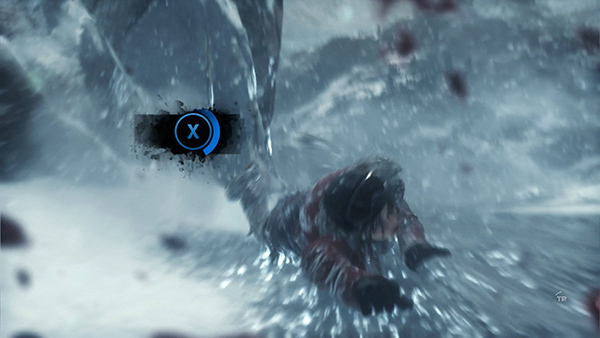 Lara calls to Jonah to take cover. 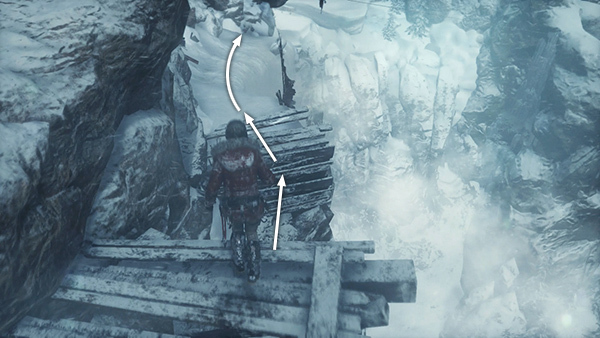 Now you must turn right and run along the snowy ledge. 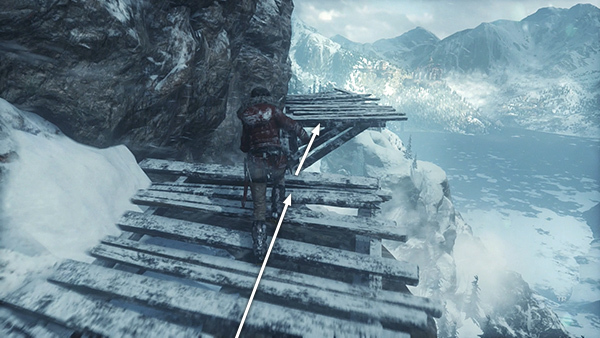 When you reach the wooden walkway, continue running and jump across the gap to grab the next section of walkway. 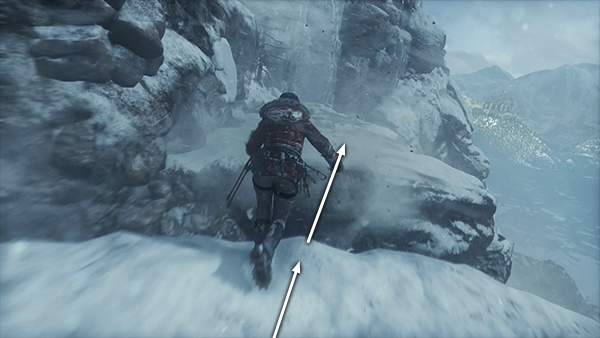 Lara barely makes it, and you must press Interact (X on Xbox controller/E on keyboard) at the on-screen prompt to grab on. Pull up and continue forward. 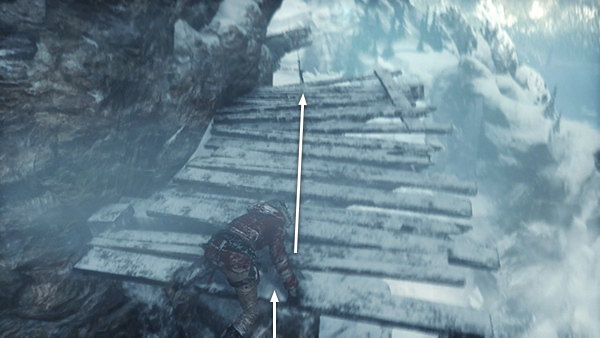 Jump down to the next section of wooden walkway. 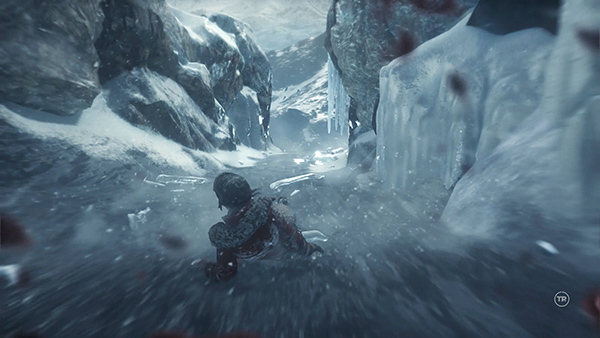 Then run/trudge forward through the snow toward the airplane wreckage. 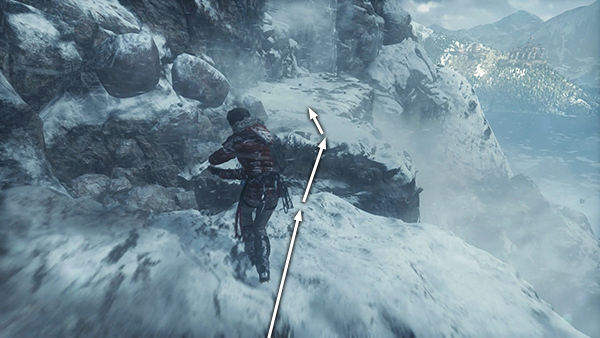 Take a running jump from the boulder and Lara will automatically grab the red pole, swing forward, and jump toward the angled cable. 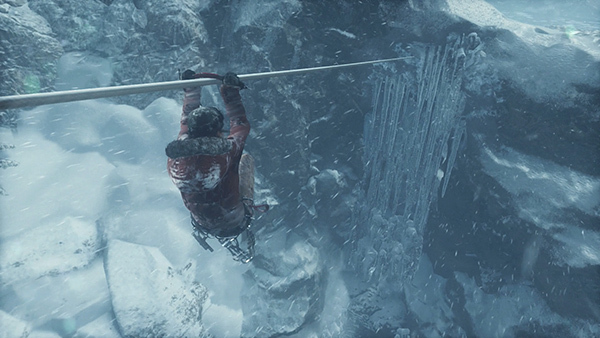 She then slides down the cable and crashes through a wall of icicles into a rocky tunnel. 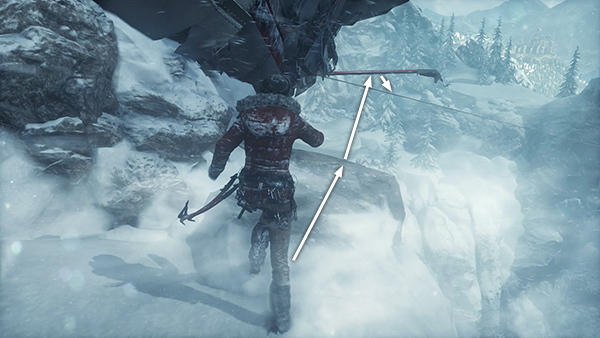 You can steer Lara with the left stick as she slides but this is not really necessary. 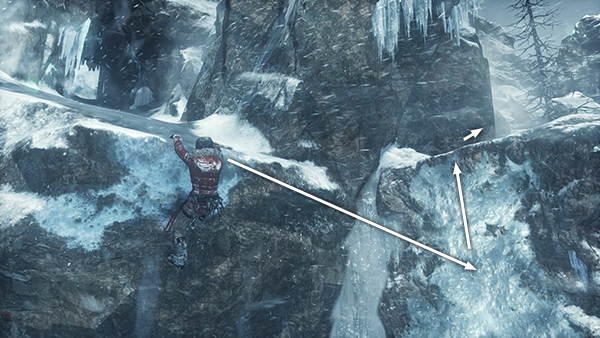 When you see the button prompt, press Interact (X/E) to dig in with your axe and prevent Lara from Lara from sliding over the edge into a deep chasm. 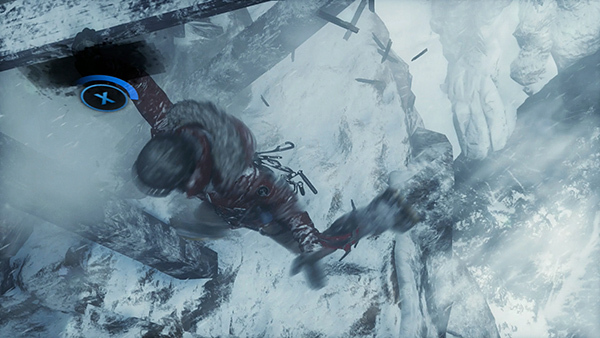 The avalanche is still coming, though, so jump to the right, latch onto the ice wall, and climb onto the ledge above. 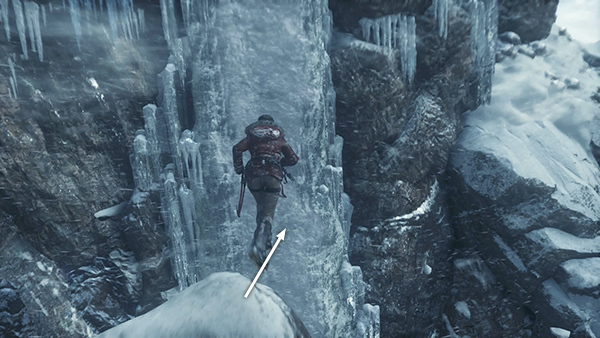 The ground ahead is unstable, so run forward, jumping across the gaps that appear in the rock. This happens several times as the ground shifts and cracks beneath you. 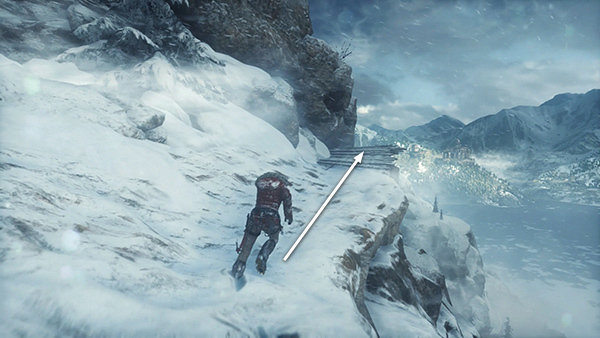 Keep running and then at the very end of the ledge jump forward, sail through the air, and press Interact to latch onto the ice wall as the avalanche strikes.